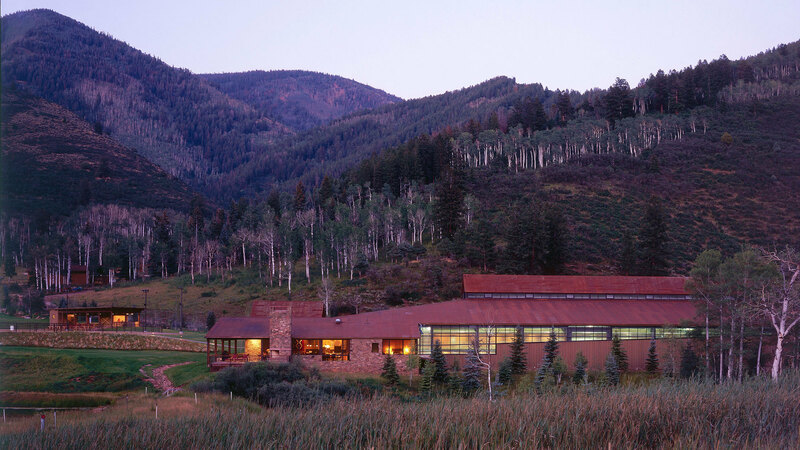 The challenge was to design a 50,000-square-foot arena that would not overwhelm the delicate high country site. The design brings the sloping alluvial topography through the building in subtly angled roofs and windows that tie the architecture to the site and “de-materialize the box." The master plan includes indoor and outdoor arenas, barns, housing, and entertainment venues. 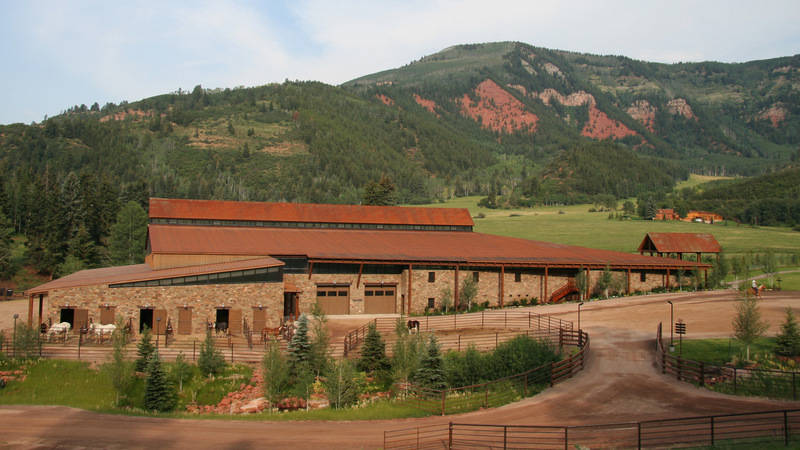 The indoor arena has an attached six-stall barn and is sited in a grove of trees. A viewing area a level above the arena floor allows guests to watch the impromptu rodeos while enjoying a drink from the bar. 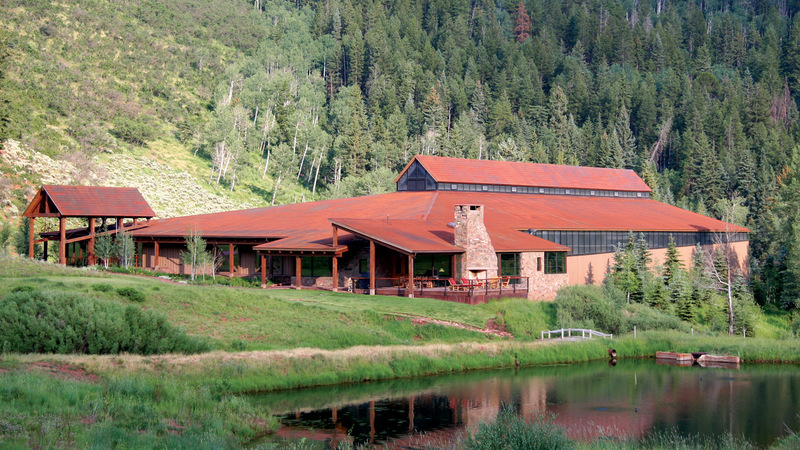 On a prominent corner of the arena, a small residential unit is attached with a large deck overlooking the stream and ponds. 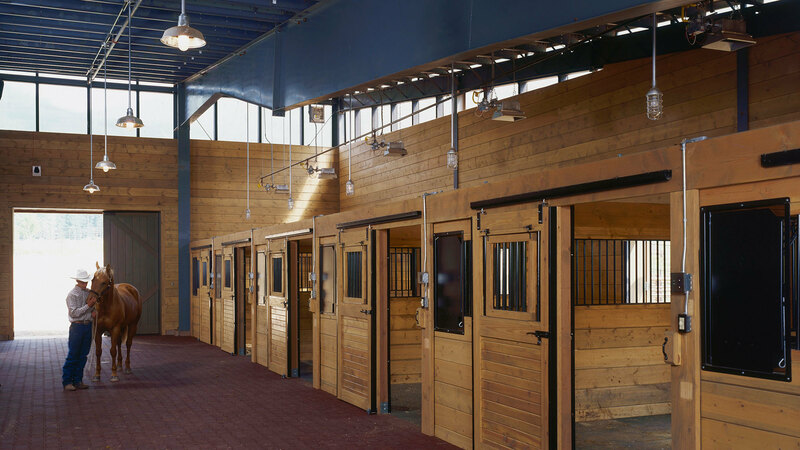 The arena has lighting and radiant heat to allow use at any time and it utilizes a recycled rubber flooring to reduce airborne dust and maintenance.